Note, I and some of our readers have been watching these lamps here in NZ. They came & changed all the bulbs very recently in the Horowhenua, and I heard Whanganui as well. Have heard reports of kids being ill following that in Whanganui at least. I have heard also that some of them have cameras. 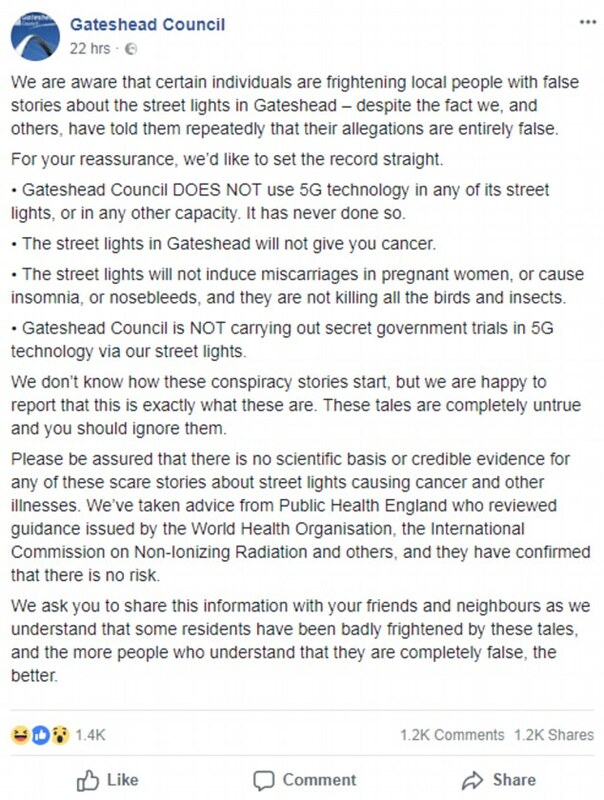 These are lamps featured in the smart city (agenda 21) models & will link to the incoming 5G. Supposed to assist with traffic flow, parking etc among other things. That’s the ostensible rationale for their existence. Locally, feedback suggests it is control of dimming & brightening the lights. They are certainly now way brighter. Watch out for them in your neighbourhood. Researchers from a network known as EMF Scientists, which includes doctors from the University of Columbia, are appealing to the UN to encourage the WHO to develop stricter EMF guidelines, while also educating the public on the risks. In January 2015, the French parliament adopted a comprehensive law that protects the general public from excessive exposure to electromagnetic waves. Among other things, the legislation has banned Wi-Fi in nurseries for children under three years old. It also requires primary schools teaching children under 11 to only turn Wi-Fi on when it is being used for specific lessons. As of February 2016, 220 scientists from 42 countries have signed an international Appeal, directed to the UN and WHO, calling for protection from EMF exposure. According to EUROPAEM, the only treatment for EMF-related illnesses is to eliminate or reduce the radiation source. Perhaps some people could benefit (and learn something) from watching this Video.